Covers carbon management; biofuels and soil quality impacts; best practices to enhance soil quality and manage residue Shows implications of biomass removal on soil quality and the sustainability of production systems Discusses farming techniques for biofuel production Describes the ecological consequences of biofuels Presents information on plant species for bioenergy plantations Summary From its humble beginning in the late 19th century?when Henry Ford’s first car was designed to run on ethanol?biofuel production has been on the rise with more than 26 billion liters produced in the U.S. in 2007. Ethanol made from biomass (rather than grains) holds great promise, including numerous economic and environmental benefits. However, the adverse interactions of energy, climate, food, and soil quality cannot be ignored. 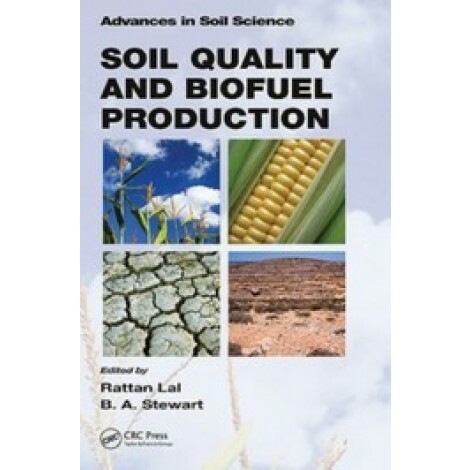 In eight concise chapters, Soil Quality and Biofuel Production presents a state-of-the-knowledge review of soil properties and processes negatively impacted by crop residue removal. It outlines the ecological consequences of biofuels and evaluates land use in the production of raw material for biofuel. The book then spotlights pressing issues related to corn and cellulosic ethanol and also soil erosion. It offers advice for achieving economic balance in the competition for arable land between food and biofuel along with residue harvest management techniques. 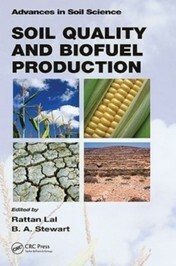 A thought-provoking discussion of the opportunities and challenges that biofuel presents rounds out the book’s coverage. The logistics of producing biomass in a sustainable manner remain a major challenge and will continue to be so for the foreseeable future. Serious questions linger concerning viable sources of biofuel feedstock, competition for resources needed to produce biomass, and energy output/input ratios. Soil Quality and Biofuel Production provides environmental scientists and agricultural engineers with the knowledge they need to address them.